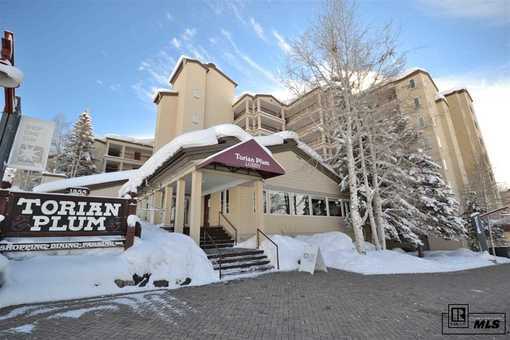 The condos at Torian Plum offer enviable ski-in/ski-out access to the Steamboat Ski Area, plus great nightlife right out your door. There are a variety of unit sizes available, starting at one bedroom up, and the following Torian Plum Condo is currenty the least expensive residence in the complex, at $279K. 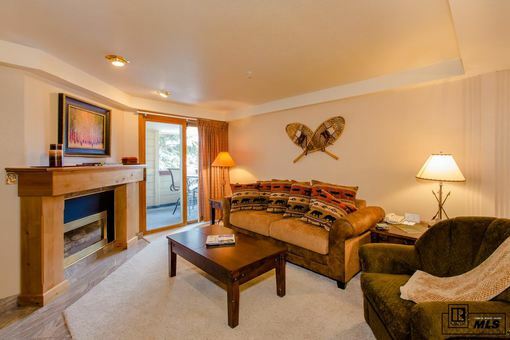 Enjoy the ultimate in resort convenience at Torian Plum in this completely remodeled 1 bedroom, 1 bath INCOME-PRODUCING ski in/ski out condo at the base of the Steamboat Ski Area. New granite counter tops in the kitchen and bath, new fixtures, tile and luxury furnishings all add sumptuous detail to the freshly painted space. Enter to an inviting great room, retreat to a private master bedroom, and enjoy the convenience of a new washer/dryer. Have your morning coffee or afternoon tea while watching the gondola climb Mt. Werner from the spacious covered deck that overlooks the Torian Plum Plaza and Steamboat Base Area. This unit is located just steps from the ski lifts, restaurants and shops. The Torian Plum resort offers an attentive staff and top-notch amenities such as indoor and outdoor hot tubs, pool, on-site check in, shuttle, beautiful lounge, fitness room and underground parking. This contemporary condo is the perfect mountain getaway for those seeking a world-class ski resort location and excellent rental income. Trip Advisor gives top ratings to Torian Plum as a highly desirable condo destination in Steamboat!